Country living evokes bucolic landscapes and picturesque villages—rolling Connecticut countryside, verdant farmland, the sun-drenched hills of Malibu—and the architecture that echoes these idyllic settings. These houses, ranging from family estates to weekend retreats, are the personal homes of decorators and tastemakers, including Jonathan Adler, Martyn Lawrence-Bullard, and Steven Gambrel. Country living evokes bucolic landscapes and picturesque villages—rolling Connecticut countryside, verdant farmland, the sun-drenched hills of Malibu—and the architecture that echoes these idyllic settings. These houses, ranging from family estates to weekend retreats, are the personal homes of decorators and tastemakers, including Jonathan Adler, Martyn Lawrence-Bullard, and Steven Gambrel. The properties exemplify varied design perspectives and provide fresh ideas about how country living is ideal for creative expression. This inspiring medley ranges from Tony Duquette’s exotic pavilion-style California home to a charming New York Victorian, a modernist Palm Springs desert getaway by Neutra, a nineteenth-century Gothic cottage on Shelter Island, and an eighteenth-century Connecticut house. Along with design ideas for interiors, the book also covers the garden and pool areas. Since outdoor entertaining is an integral part of country living, a section devoted to tabletop display is included. 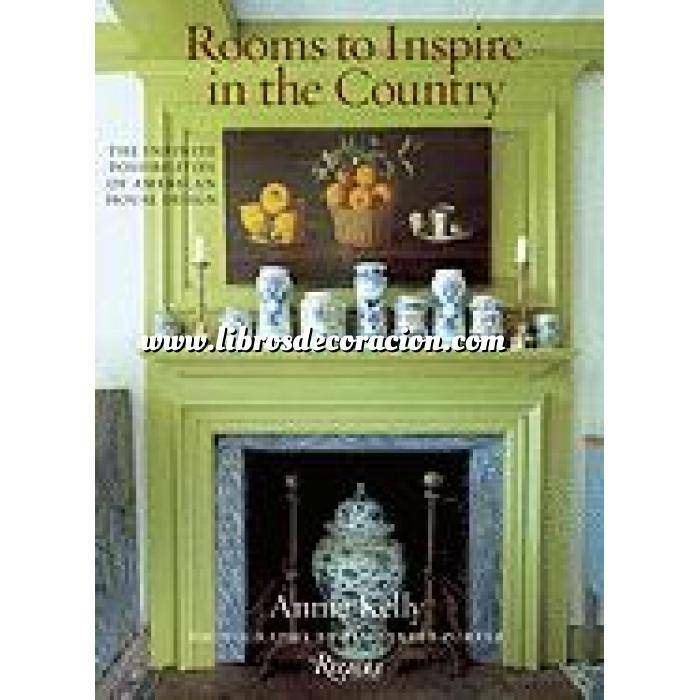 These beautifully photographed inspirations encourage the reader to explore the design opportunities in the country guided by the best interior designers.